Newegg is selling the Crucial MX500 500GB for $64.23 with checkout code. If you need more storage without breaking the bank, Newegg’s got a deal for you. The 500GB Crucial MX500 is $64.23Remove non-product link with the checkout code EMCTUUY22. The code only adds a discount of $8.76, but that still makes it the best price for this drive right now. Newegg may require you to sign-up for its mailing list to use the discount code. We haven’t reviewed the MX500, but we did look at the Crucial BX300, which is our favorite budget SSD. 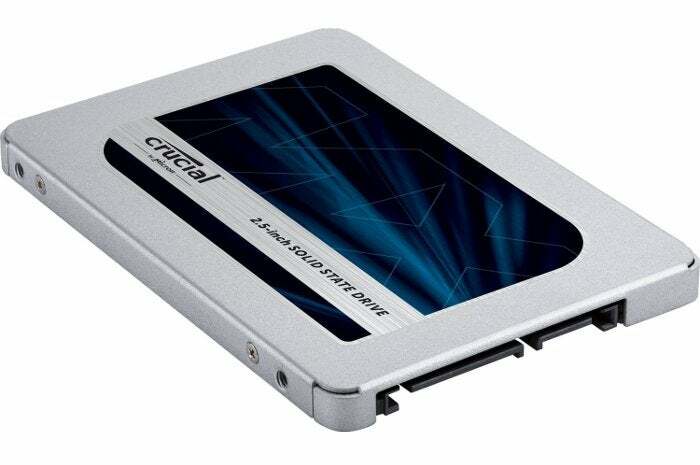 The MX500 is a very popular and well-reviewed SSD, however. The Crucial MX500 uses 3D TLC NAND storage from Micron and features a sequential read speed claim of up to 560 megabytes per second and write speeds up to 510 MB/s. It comes with AES 256-bit hardware encryption and a five-year warranty. This sale price is for the standard 2.5-inch form factor version of the drive. If you’re more interested in the M.2 “gumstick” form factor, Newegg’s selling that version of the 500GB Crucial MX500 for a little bit more at $68. But be warned: Even though it uses the M.2 form factor, it also uses the SATA III interface just like the 2.5-inch drive, and not the more advanced and faster NVMe. That means both versions of the Crucial MX500 should offer similar performance.